2010 a group of scientists announced that they’d found evidence of multi-cellular life in hyper-salty, oxygen-free pools at the bottom of the ocean. A new study indicates that what they thought were living animals were actually corpses taken over by bacterial “body-snatchers”. Scientists from the Woods Hole Oceanographic Institution have published a paper in BMC Biology that dashes the hopes of biologists on Earth and those who hope to find life in extreme conditions on other planets. Their findings cast doubt on whether or not metazoans can ever live entirely without oxygen. Metazoans are not a famous animal class, but they are a far-reaching one. A metazoan is any animal which is multi-cellular, and whose many cells are divided up into different tissues. Some sources stress that metazoans have specialised digestive cavities, or develop from embryos into adult organisms capable of making the next generation of embryos. All of these activities require energy, and so require oxygen — or so we thought. In 2010 scientists announced that they’d found evidence of metazoans living in pools of brine at the bottom of the ocean. These pools were formed when the ocean hit underground salt deposits. They can be hundreds of metres deep and the bottom of the pools are completely without oxygen. 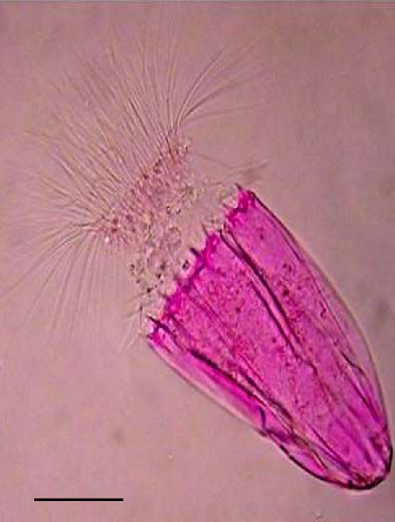 The scientists found tiny metazoans there, including metazoans which seemed to be developing oocytes. The animals were dead by the time they got to the surface off course, but the team had exposed them to fluorescent proteins that could only be taken in by living organisms. When they saw the tags inside the cadavers, they had what they believed was evidence that multi-cellular animals could live without oxygen — something never before discovered on Earth. Sadly, samples taken from the “interface zone”, the area of steadily increasing brine just on top of these incredibly dense briny pools, cast doubt on the discovery. The Woods Hole scientists collected these samples, along with samples of sediment from around the pools, by remote-operated vehicle. The found increasingly fewer animals as the brine got more salty, which is to be expected. They also found, by contrasting the samples from the different zones, that the ones from the lower and more oxygen-free sections of the interface zone were more degraded than the samples from the upper layers. Most disappointingly, they found the same animals described by the 2010 study in the sediment around the pools. Although it’s possible that the animals which lived at the bottom of the pools, in the salty, dense, and oxygen-free environment also lived in the relatively oxygen-rich sediment around the pools, the Woods Hole scientists don’t believe it’s likely that the animals could live in both conditions. Bacteria can live in conditions that metazoans cannot, and they had invaded the bodies of the animals from the 2010 study — taking up the fluorescent tags and giving the metazoans the appearance of life.